WWE is leaving no stones unturned to treat the WWE Universe with the best that they have to offer. On the road to WrestleMania, there are a lot of exciting things that are going to happen in WWE. While Roman Reigns and AJ Styles might be celebrating their prolific run in WWE, there seems to interesting storylines lined up for other WWE superstars. That being said, there are a lot of returning wrestlers in line and many interesting feuds lined up. Taking away Evolution and all the other Pay-Per-Views already in line, WWE has a lot in their backpack to treat the audience for the next 6 months of thrilling action and extravaganza. There are unpopular opinions that might upset the fans, and rumours which are highly anticipated to fall true before the biggest night of WWE. Looking at the current stage of storytelling in WWE, a lot can happen between now and WrestleMania. Let's discuss the 10 things that will happen in WWE before WrestleMania 35. Let's jump to this right ahead. Shawn Michaels and The Undertaker pulled off a brilliant promo. 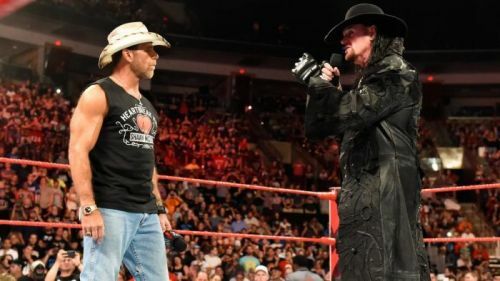 Michaels who appeared in the last episode of RAW to discuss Triple H vs The Undertaker for One Last Time had to settle old odds with The Undertaker who appeared in a non-advertised appearance on RAW. Shawn Michaels hasn't returned to wrestling ever since loosing to The Phenom. While the fans have always desired one last appearance from The Showstopper, Michaels doesn't seem too interested in coming back. Talking about his return to wrestling, Michaels has always argued how it can never be against anybody half his age, referring to the new age superstars. 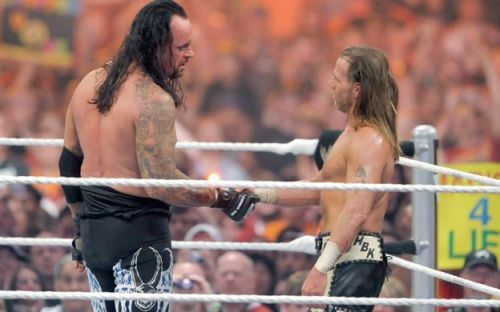 But The Undertaker vs Shawn Michaels only feel right to come true. The Undertaker teased a match against Mr WrestleMania, last week on RAW. It looks highly likely that the match will happen at WWE's next big event in Dubai.